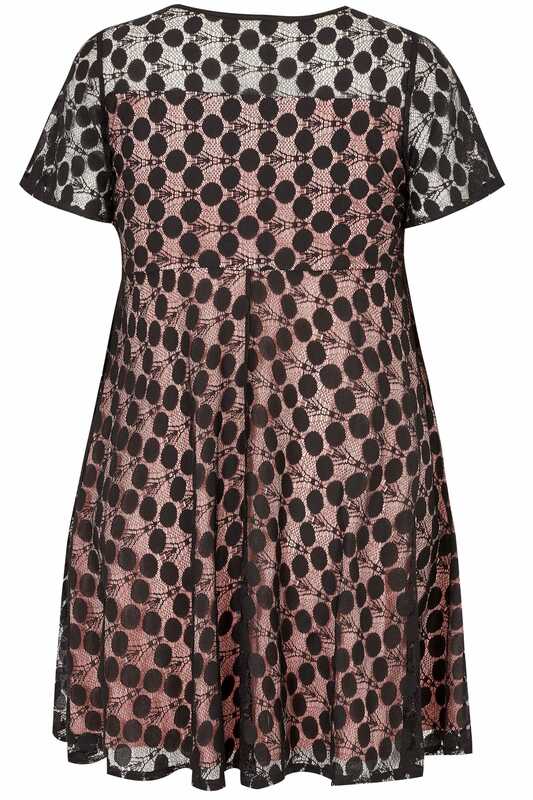 Get party ready with this super chic dress. Cut to a knee length, this flattering skater shape features a seamed waist and a sweetheart neckline for an added feminine feel. For a sophisticated after-dark look, team with a pair of high sandals and a simple clutch. 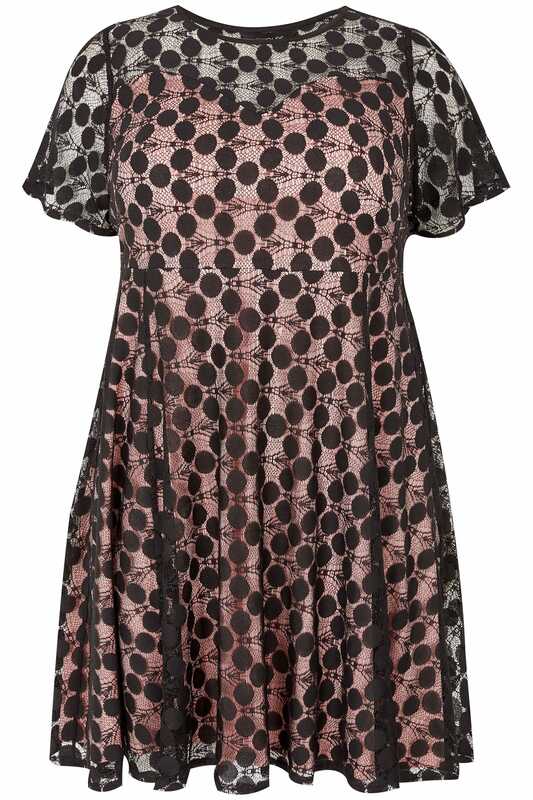 We are loving the spotted mesh fabric.